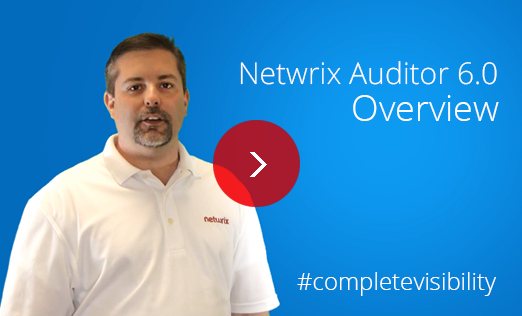 We proudly announce the release of Netwrix Auditor 6.0! This is a really exciting moment for all of us here at Netwrix, as this platform update delivers #completevisibility for your entire IT infrastructure. In this newsflash you will learn about some key benefits and highlights of this new version. Deliver high-level overview of change events across all kinds of audited systems (Active Directory, File Servers, SharePoint, etc.) and allow you to drill down to details on every change. Provides visibility into farm configuration, user content and security changes, including modifications of permissions and permission inheritance, SharePoint group membership and security policies. With Netwrix Auditor 6.0 you also get over 25 enhancements and fixed issues, including scalability, performance and usability. Share this amazing moment with us and please leave your feedback in the comments section below!